Welcome to Fly-N-High Jet Ski Rental and Parasailing Adventures. 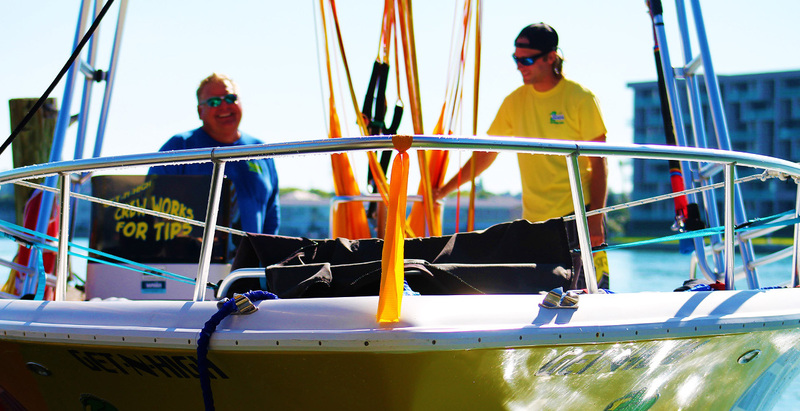 We provide water sports and fun for friends and family in beautiful Madeira Beach, Florida. Don’t wait another minute to enjoy the sparkling water and fresh sea breezes on a jet ski or parasailing through the air. Call us at (727) 397-1050 or visit our contact page and submit a reservation request. Come and enjoy all the water sports the Gulf of Mexico has to offer. Conveniently located at John's Pass pier in Madeira Beach, Florida. The Fly-N-High Waverunner and Parasailing crew’s goal is to keep you safe and help you have the time of your life while you enjoy our Jet Ski Rentals & Parasailing Adventures or one of the many other adventures Fly-N-High has to offer. 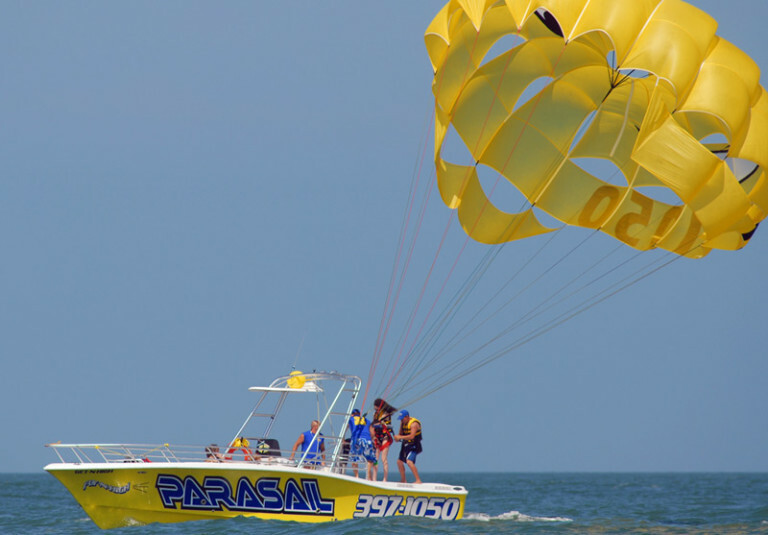 Both of our Parasailing boats are 12-passenger United State Coast Guard inspected, ensuring that no matter what Parasailing Boat you are on, you will have a wonderful and safe experience while on your vacation or holiday. 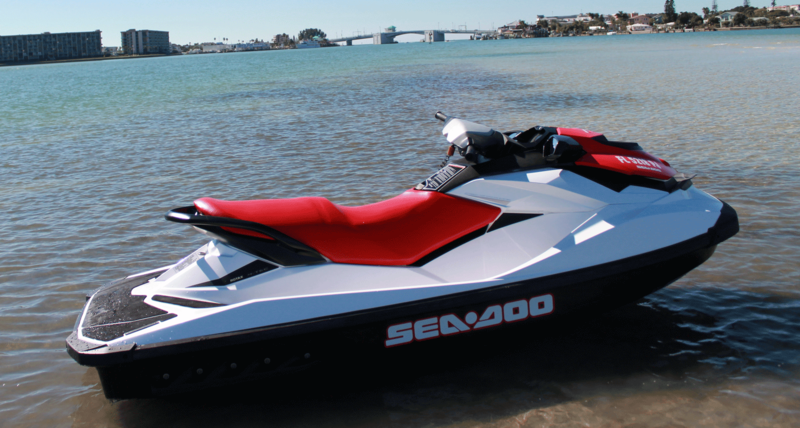 Get ready for a thrilling ride when you climb aboard one of our New SEADOO Jet Ski Rentals! 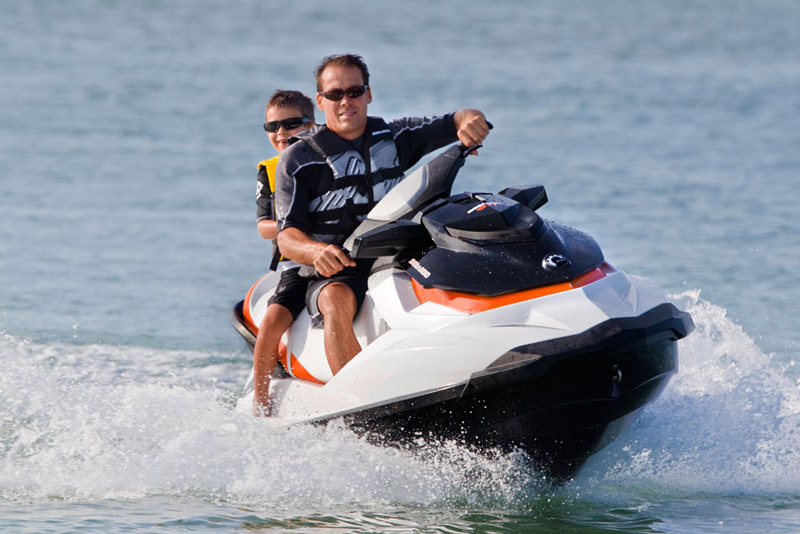 There’s no better way to explore the John’s Pass coastal area or the beautiful blue waters of the Gulf of Mexico than on a Fly-N-High Jetski rental. That’s right!!!! 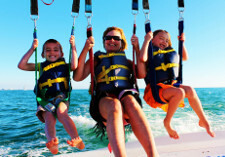 We can accommodate all ages on our Jet Ski Rentals & Parasailing adventures. All of our staff has the knowledge. So sit back and enjoy your time with us, any age can have the time of their life. We are happy you want to visit Maderia Beach, Florida. Do you want to do something adventurous, different and picture-album-worthy? 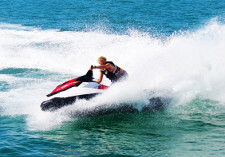 Watercraft sports like jet skis and parasailing can be just that! They will make you get excited and laugh all at the same time. We invite you to come play with us on the Gulf of Mexico. We offer Waverunner jet ski rentals and parasailing adventures in historic John’s Pass. 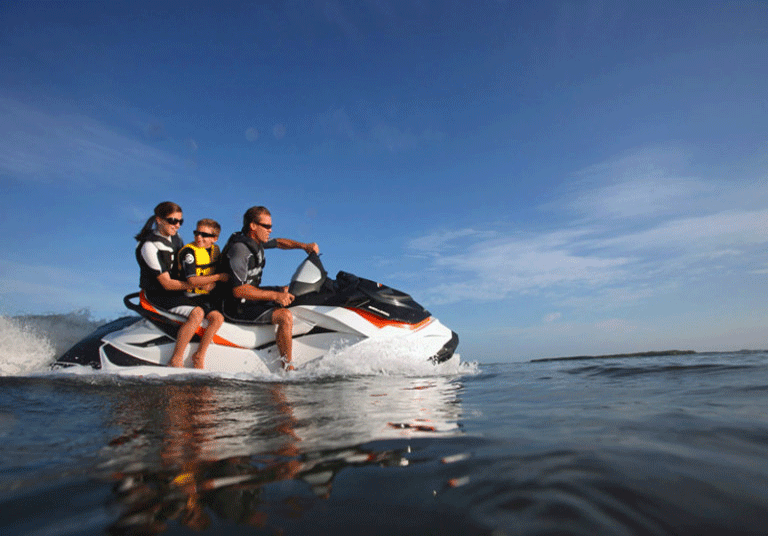 Get ready for a thrilling ride when you climb onto the driver's seat of a new Seadoo GTS. These Waverunners are the most advanced in the watercraft industry today. So don't wait any longer and ride one today! Prepare for the ride of a lifetime. You’ll begin parasailing seated on the back deck of the boat, with a life jacket on and a harness attached. As the parasailing boat begins to accelerate its up into the air you go on your parasailing adventure. A free fall and dip are available for those who are even more adventurous, be sure and ask the crew-if you’re game. Or, you can stay dry the entire time. At the end of your parasailing ride you’ll safely land standing on the back deck of our parasail boat with the help of the Mate.